BOUT That Life is a bystander intervention workshop designed for students of color. The program’s objective is to bring an anti-oppression perspective into sexual violence work. The program is designed for students of color. identify why it is a collective responsibility to be an active bystander. 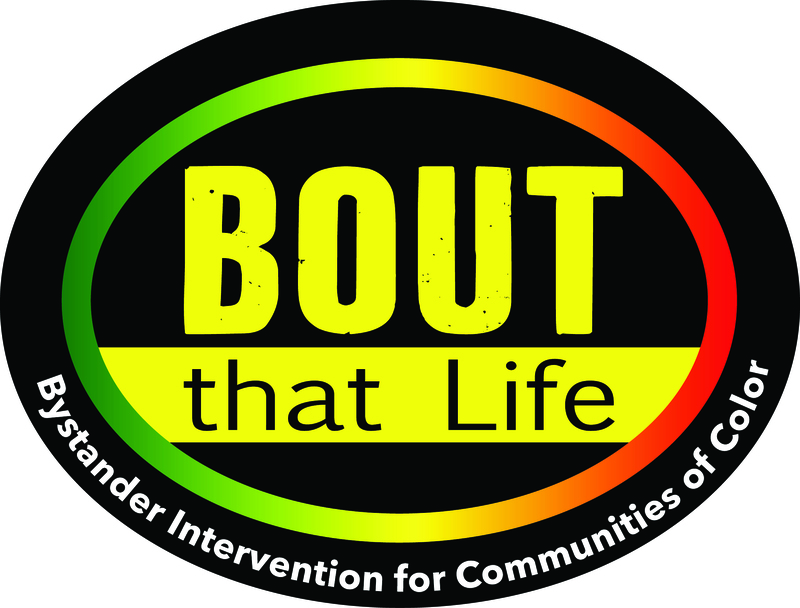 BOUT That Life workshops make use of various teaching methods including: polling, videos, word association games, role-play, small group work and large group work. Topics covered include: why community matters; defining key terms; why history matters; other influences that matter; the statistics; resources; and, ways to intervene safely. Dosage depends on the program design (see below). CBK Enterprises can adapt the program to fit your institution's needs. Dosage options include: a 60 to 90 minute seminar class, 4 to 6 hours for a student retreat, or 6 hours for a train-the-trainer event. The curriculum was developed by CBK Enterprises based on research conducted with staff and students at a HBCU, who identified a need for a program that addressed the needs and concerns of students of color. The program author used key informant interviews and focus groups to inform the curriculum, as well as research on sexual violence at HBCUs. Post-workshop surveys indicate some level of program effectiveness. This is the only program listed on our site that specifically addresses the concerns of students of color. It is important because we know students are most likely to benefit from a prevention program that addresses their needs and concerns. For non-HBCU campuses, bringing Ms. Boyd-Keyes to your campus can be a great way to supplement required programming. This may be an appropriate workshop to offer to ethnic fraternities or sororities or other identity groups on campus. Contact Chimi Boyd-Keyes at cbkenterprises@gmail.com or by phone at 919-443-5372.